Down to Earth: A choice: forests or solar panels? 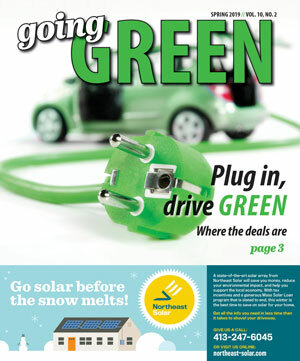 Home » News » Down to Earth: A choice: forests or solar panels? One of the most popular alternatives to fossil fuels, solar energy, has a problem — it needs land. With that land hunger comes inherent conflict, recently highlighted in Belchertown where a vigorous local fight has sprung up over proposals to build two solar farms on forested land. The struggle pits the plans’ opponents not only against the solar companies and land owners, but those who worry that excessive obstacles are being raised against solar. Are the opponents of the Belchertown projects merely “NIMBYs” — Not In My Backyards — who don’t want their pleasant rural views interrupted by clean energy that would be good for everyone? To me, the Belchertown conflict is representative of vital environmental trade-offs that communities around the United States must grapple with as we race to escape fossil fuels through solar. Six solar arrays are currently under consideration for Belchertown alone, all hoping to take advantage of incentives that will be made available under the Solar Massachusetts Renewable Target Program. Two of the projects are on wooded land. These projects would be built by Syncarpha Community Solar of New York and Blue Wave Solar of Boston. The land belongs to Cowls Inc, a forestry, real estate, and building supply company that owns 1,364 acres of forest in Belchertown and thousands more statewide. The Blue Wave project design, now publicly available, would clear 48 acres of forestland for 21,924 solar panels generating 8 megawatts of power. The project has been criticized for being sited on 156 acres of land with three stream crossings in a critical drainage area near Scarborough Brook. The Syncarpha project would include two separate arrays on land covering 101 acres, including 80 acres along Gulf Road. The project, which Cowls has said would clear 20 percent of the trees, has been approved for a tax agreement with the city, but must still receive permits. When I tried to think a little more deeply about the situation, several questions arose. First, between solar panels and trees, which is “better” in terms of climate? Forests are an important protection against climate change. Trees breathe in carbon dioxide, the most well-known greenhouse gas, and convert it into leaves and twigs. That organic matter eventually gets buried as soil, removing climate-changing carbon from the atmosphere. Worldwide, 40 percent of human carbon dioxide emissions are sucked up by forests, studies find — though sadly, most of that is put back in the atmosphere by deforestation. Still, in a simple comparison between trees and solar panels, the panels win out. Rayo Bhumgara of Syncarpha told the Gazette that an acre of solar offsets about eight times more carbon per year than forest. In Massachusetts, one kilowatt of solar panels can produce 1,200 kilowatt-hours of electricity in its most efficient first year, according to a 2015 study from the MIT Energy Initiative. If, as the EPA reports, one kilowatt-hour of fossil fuel electricity emits 1.34 pounds of carbon, Blue Wave’s eight megawatts of solar could offset 134 tons of carbon per cleared acre, or about nine times more than trees, in its first year. Climate, however, isn’t the only thing we might care about. Forests provide far more than just carbon removal. Their huge array of services include filtering water through soils for cleaner drinking water, providing wildlife habitat, removing pollutants like nitrates and sulfide from the air, and preventing erosion. A single acre of forest provides enough oxygen for 18 people a day. And the less fragmented they are, the more efficiently they do all these things. Fragmented forests inhibit animal movement and cause declines in water quality, studies show. They also harbor more invasive plants, lowering habitat quality, and store less carbon in soil long term. Temperate forests like ours here in Massachusetts are the best worldwide at storing carbon, keeping over twice as much per acre out of the atmosphere as the more highly publicized tropical rainforests, according to a study by the Australian National University. But that brings me to my second question. How much land does solar really need? I discovered to my surprise that it’s less than one might think. According to the MIT report, just 33,000 acres of solar could meet the entire energy need of the United States. That’s the same area currently covered by roads nationwide, and just a third of the land used to grow corn for ethanol. With the same land area now dedicated to golf courses, we could meet a third of U.S. electricity need, points out energy consultant Jesse Jenkins. Suppose we met Massachusetts’ entire 1 million megawatt electricity need with woodland projects like Blue Wave’s. Using my simple numbers above, we’d need to clear 6,000 acres, small in comparison to the state’s 3 million wooded acres. Still, it’s an area of pristine woodland the size of the Mohawk Trail State Forest. That’s not tiny when it comes to conservation. So, that brings me to my last question. If we want to protect our forested lands, do we have good alternatives for solar siting? Many thousands of acres of land in the U.S. are covered with roofs, parking lots, and other urban structures. Perhaps we could meet our needs with rooftop solar, or with carports like the ones now on display over several UMass parking lots. Like so much in our society, it comes down to money. Carports require extra steel and support, making them the most expensive option. Rooftop solar on commercial buildings costs $3 per watt compared to $2 a watt for a solar field, reported the Oregon Mail Tribune. Plus, commercial roofs often aren’t constructed strongly enough to bear more weight. Electricity from residential rooftop solar is 70 percent more costly than utility-scale solar, according to the MIT report. But who benefits? Rooftop solar pays the homeowner back rather than a commercial company. After their initial investment, the resident gets free energy. Under current law, they can also sell extra energy back to the grid at retail prices, recouping costs and potentially even making a profit. This year, California passed an ordinance requiring all newly constructed houses with sufficient exposure to include solar panels as of 2020. It’s cheaper to build solar in from the start than to retrofit, and while homebuyers will bear the cost, they’ll get their money back in energy savings. And counting just Massachusetts cities larger than 100,000 people, municipal buildings alone could support 125 megawatts of rooftop solar, noted the Institute for Local Self Reliance in a 2015 report. Smaller New Bedford, Massachusetts, has a whopping 16 megawatts of solar on their city buildings. Even large-scale solar fields can get built in better places. A project on Briar Hill Road in Willamsburg occupies a treeless 18-acre old former sand and gravel pit that is invisible from the road. A 2.3-megawatt facility operates at the Easthampton landfill. In Belchertown, Borrego Solar Systems has proposed a 6.7 megawatt dual-use array on a Franklin Street farm owned by Tom Roberts. Solar on agricultural land has been controversial, because it can prevent crop growth, and can also drive up the cost of farmland for our much-needed and more sustainable organic and local farms. But new dual-use solar arrays allow enough sunlight to reach the ground for crops to grow. They’re still being tested, but promise a revenue stream to small farms as a complement to rather than replacement for food production. And when possible through subsidies or altruistic investment, solar panels over parking lots, like at UMass, generate energy and simultaneously protect cars from the blazing sunlight. Local control is another important environmental consideration. Solar provides environmental benefits, but “big solar” still embodies companies making money using land that impacts everyone, not necessarily improving matters for the little guy. Tax and employment benefits may accrue to communities, but money’s not the only thing that creates quality of life. For now, current regulations don’t allow Belchertown residents to easily stop the construction. Massachusetts considers solar power an “agricultural use,” and since the land is privately owned by Cowls, it’s covered by existing Belchertown regulations indicating that landowners may cull trees for agriculture or alternative energy. Two new zoning bylaws under consideration in Belchertown could control such projects in the future. The first would restrict solar developments that clear more than four acres of land. The second establishes a minimum distance between large-scale commercial solar arrays. But Cowls quickly filed to subdivide its properties, making their land immune to zoning bylaw changes for the next seven months according to Belchertown laws. To Cowls’ credit, the company has placed a total of 5,000 acres of other forestland under conservation restriction in western Mass. That includes a recently-conserved 2,000 acre parcel in Shutesbury, Leverett and Pelham, for which they’ll receive $3 million in compensation from Kestrel Land Trust and the Massachusetts Department of Fish and Game this fall. And as Cowls’ president Cinda Jones has pointed out, solar creates limited damage to soils and can be fairly easily removed. Unlike land covered by housing or paving, the land can be easily returned to regular forestry use, especially if costs for urban solar development eventually decline. What’s the upshot? Moving to solar power represents a complicated web of considerations. Like so much of our national energy landscape, there are no easy answers. Forests are one of our most precious possessions, but forests too are suffering as climate change continues apace, with species shifting northward and forest fires consuming trees. Utility scale solar is one of the fastest ways we have of ramping up our renewable energy. Because large solar fields are so much bigger than most residential solar, the mere 0.3 percent of systems nationwide that are utility scale represent over half of solar electricity generation, the MIT report points out. Yet every day, I bicycle past the new solar carport Whalen Insurance Agency has constructed on their King Street parking lot in Northampton, built by worker-owned solar cooperative PV Squared Solar. The posts stand silvery and sprightly on what used to be a plain, uninteresting asphalt lot. The panels turn their faces up to the sky, too high up for me to see them even from the raised bike path. Underneath, there’s plenty of space for people to park in a shady spot instead of the blazing sun, like before. I can’t help but think that’s how it’s supposed to be.